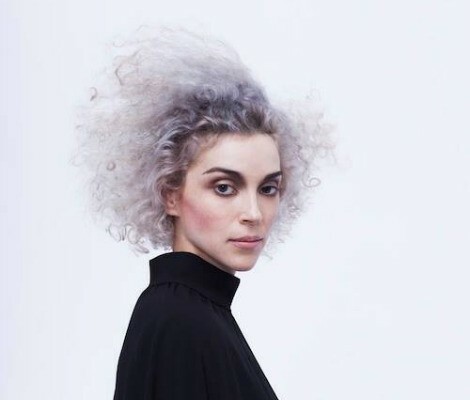 When Annie Clark (aka St. Vincent) released her album “Actor” in 2009, I fell in love with her. I really did. I went to a festival where she was playing and the whole setting was absolutely magical: a beautiful sunset, warm breeze and Annie’s brilliant performance just swept me off my feet. Then she kept composing and for some reason I felt like I’d lost the connection with her. Until now. ‘Prince Johnny’, the most recent single off her self-titled album, was first revealed in February and is now ready to hit the radio. It is Annie Clark at her best. The melody is sweet and eerie; the lyrics are deeply disturbing and enchanting for their incredible honesty and the very intelligent analogy with the tale of Pinocchio. There are elements of teenage doubt and angst, side by side with a clearly adult perception of the ‘little boy’ and the ‘little girl’ that want to be real. It is full of pain and growth and emotional contagion.